The Pastor is the shepherd caring for the needs of their flock and, in the Gospels, Jesus is described as the ‘Good Shepherd’. So we think of ‘pastoral care’ as seeing that the spiritual, physical and mental needs of those around us are met. In day-to-day life this means parents caring for children, children caring for parents, teachers caring for pupils, health professionals caring for patients, the police protecting us and so on…. For more than a century, but especially in the years following the Second Vatican Council, the Church has given us what has become known as its ‘social teaching’ expressing on our responsibilty towards the poor, the weak, the marginalised, the lonely and dispossessed. We are blessed in our parish with people who give their time freely to help others in the community. The play group meets one afternoon a week in St Peter-in-Chains’ school hall. There is a range of activities including puzzles, drawing, and construction. The atmosphere is warm and friendly. Both children and carers develop supportive relationships which often extend through to Infant school. There is a small voluntary contribution per session which covers the cost of equipment and refreshments. Parents/carers are responsible for their children at all times and are expected to help at the sessions. The group only meets during term time and it is best to check the Newsletter or contact the Parish Office to find out when the group is meeting. This is a group which promotes a greater sense of Christian responsibility on issues of Justice and Peace among parishioners. It meets on an irregular basis, generally when there is some specific activity being planned and organised. We hear daily in the media of the many places in the world where there is a real lack of justice, peace and reconciliation that there is often a feeling that there is nothing we can do to help. There is also the danger that, as each new tragedy or revelation appears, last week’s news drops out of sight and mind while those suffering or affected have to continue to live with the reality of their situation. Our group has been extremely successful in raising awareness of third world issues through its work around the CAFOD Fast Days and similar campaigns through talks at Sunday Masses, special prayer services, poverty lunches etc. Another success has been the development of our association with TraidCraft which aims to win fair prices for third world producers. The Parish is now officially a FairTrade parish – committed to using FairTrade produce where possible. 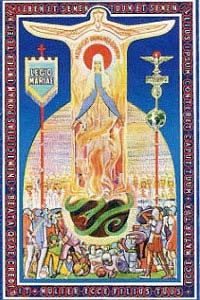 The Legion of Mary is a world-wide association of Catholics who have formed themselves into a body to be of service to the Church in the modern world. The Legion of Mary has a weekly meeting with prayer to the Holy Spirit and the Rosary. A main feature of meetings are reports of the work performed by members – always in pairs. The work may be home visitation, census work, visits to sick, elderly, housebound or lapsed members of the parish community taking up no more than 2 hours of one’s free time. Meetings take place on Wednesday in the Parish Rooms at 7:30pm. Seeds is a Saturday club for learning disabled adults, their families and friends that meets on the first Saturday of the month at St Peter in Chains School Hall from 2-4pm. Dates are published on the website and in the Newsletter. Families and carers have told us that the weekends can feel very hard and unsupported. With music, dance, art, crafts, refreshments but most importantly friendship and fun, this is an opportunity to come together as a community and make new friends. Please come and join in. SEEDS is open to everyone and we hope that people will feel moved to help us. The Soup Run came about when a group of parish Confirmation candidates saw homeless people sleeping rough in doorways in the Strand late one evening and decided to do something in response. The result has been that every Saturday afternoon since – except over Christmas, teams of parishioners have made tea, coffee and sandwiches and distributed them, along with cakes from Dunn’s, to homeless people at Lincoln’s Inn Fields. Oddly enough, they don’t make soup! Each team works once every four weeks. Each team consists of two groups – sandwich makers (who use the Parish rooms), and drivers/distributors who deliver the food and drinks. Sandwich making and distributing take about one and a half hours each. Volunteers are always needed. If you can spare the time on a Saturday afternoon, once a month, then contact the Parish Office about joining one of the teams. If you would like to help without making a regular commitment and becoming part of a specific team, you will be just as welcome – particularly during the summer holiday period. Sandwich making begins at 4pm. Dunn’s the Bakers in Crouch End Broadway have proved a great benefactor, donating bread and cakes, but the Soup Run cannot operate without parishioners providing fillings for the sandwiches and forming the teams of sandwich makers, drivers and distributors so, when you remember and can spare the money, please put an extra tin of meat or fish, a piece of cheese, some other sandwich filling or some margarine in your shopping trolley and bring it along with you when you come to Mass. There is always a box inside the entrance to the church. We get through an awful lot of sandwich fillings! Many thanks.